Single-use components made of plastic have become essential to the production of biopharmaceutical medications. Yet they are still comparatively new in the context of aseptic filling, as the standards for fill-finish are extremely high: absolute hygiene for the product, and employee safety in handling potentially toxic substances. Precisely here, single-use systems offer essential advantages – especially when standardized single-use sets are employed. They can be implemented quickly and affordably while reducing complexity. 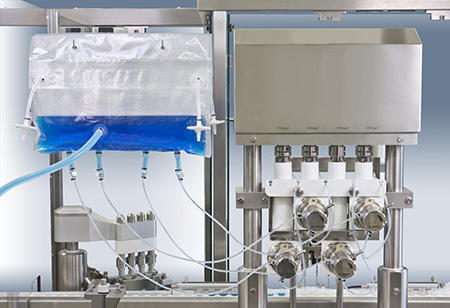 In biopharmaceutical development and manufacturing processes, single-use systems have long since proven their value. Today, entire biotechnological production lines run on single-use systems. The demand for single-use components also continues to rise in aseptic filling. However, sterile fill-finish involves other requirements than for instance producing cell cultures for a biopharmaceutical substance. 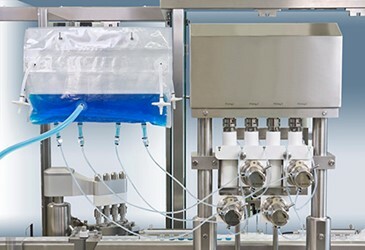 Sterile filling is one of the most delicate production steps in the entire pharmaceutical process chain, as it comes after the last sterile filtration. If stainless steel parts are replaced with single-use components made of plastic, complexity increases: the more parts and materials used, the more critical the issue of extractables and leachables – the effects of the plastic’s ingredients on the product – becomes.